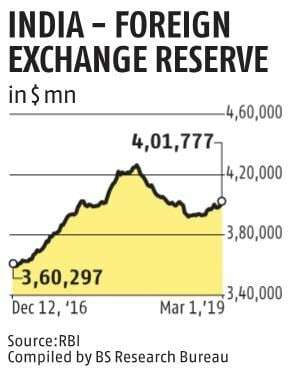 The country's foreign exchange reserves increased by $2.599 billion in the week to March 1 to reclaim the $ 400 billion-mark, RBI data showed. The forex reserves stood at $401.776 billion in the reporting week. In the previous week, the reserves had risen by $944.7 million to $399.217 billion. In the reporting week, foreign currency assets, a major component of the overall reserves, swelled by $2.061 billion to $374.060 billion. 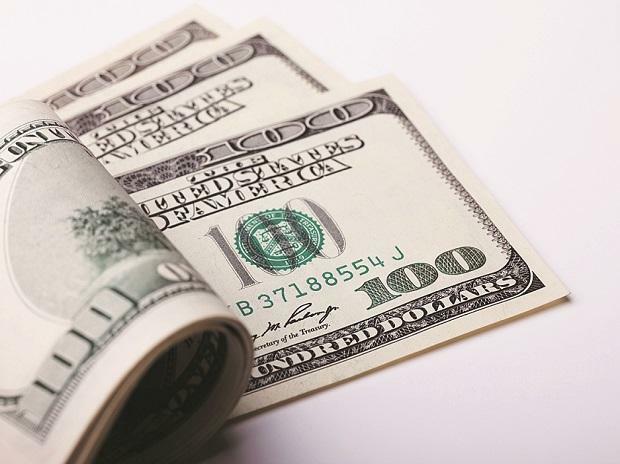 Expressed in US dollars, foreign currency assets include the effect of appreciation/depreciation of non-US currencies such as the euro, pound and yen held in the nation's reserves. The reserves had touched a lifetime high of $426.028 billion in the week to April 13, 2018. Since then, the forex kitty has been on a slide and is now down by over $25 billion. After remaining unchanged for the past few weeks, gold reserves rose by $488.7 million to $23.253 billion in the reporting week, according to the data. The special drawing rights with the International Monetary Fund also rose by $3 million to $1.463 billion. The country's reserve position with the Fund too increased by $6.2 million to $2.999 billion, the apex bank said.